Verizon eliminated a couple of promotions yesterday, including one that paid the Early Termination Fee of subscribers breaking a rival's two-year contract to switch to Verizon. Big Red initiated the reimbursement fee on December 28th. AT&T, which started its $650 ETF payments in February of this year, still offers the promotion along with T-Mobile and Sprint. The latter two carriers have offered the $650 ETF reimbursement for some time. T-Mobile was the first to start this practice, beginning its reimbursements in January 2014. Also ending today is Verizon's BOGO offer on the Samsung Galaxy S7 and Samsung Galaxy S7 edge. That deal actually lasted longer than originally scheduled. Verizon planned on ending the BOGO at the beginning of this month, but extended the offer until yesterday. Verizon's national trade-in event started yesterday. 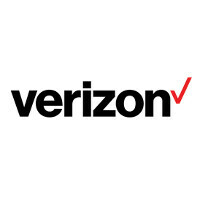 Verizon customers can trade in their current handset (in working condition) and receive up to $312 to use toward the purchase of certain models like the Samsung Galaxy S7, LG G5, 16GB Apple iPhone 6s or Motorola DROID Turbo 2. The largest trade-in amount will go to those turning in their Motorola DROID Turbo, Samsung Galaxy Note 5, Samsung Galaxy S6, Samsung Galaxy S6 edge, Samsung Galaxy S6 edge+, HTC One M9, LG G4, LG V10, Apple iPhone 6 and the Apple iPhone 6 Plus. Trade one hard to get promo for another at a lesser value to the consumer. I hate Verizon so much... so very very much. Verizon is always taking something away and/or creating a new way of charging its customers. Let's take a look here at the last month or two. Verizon has increased the cost to upgrade lines, they have recently added a $10 charge for suspending phone lines, they ended the BOGO s7/edge and now they are ending the paying off of ETF for new customers when it's Verizon that is trying to lure customers into switching over to their network. Not paying off customer ETF is the dumbest move yet that Verizon could make because it only hurts them and adding a $10 fee for voluntary suspension of phones lines is very low, considering customers can do that online without waisting Verizon resources (customer service). Verizon may have the most reliable service, but their loyal customers don't deserve this kind of abuse. This is highway robbery at its worst. I feel sorry for those that don't have a choice because Verizon is the only carrier that offers decent coverage where they need it. You raise a good point, but if all the people who don't actually "need" Verizon realized it, they would probably be in trouble. This is getting ridiculous. Very few people on here actually seem to know what they're talking about when it comes to service costs, then rant and bicker about how they're being "raped" by their carrier. First of all, "Promotions" are exactly that. They are a special deal that lasts for a limited time and then are ended at said time. I wouldn't think I'd have to tell anyone how a promo works but since people are acting like they've had something actually taken from them it seems that the record needs to be set straight. A promo is not something that stays as a staple option. If it did, then it wouldn't be a promo. Secondly, service costs have dropped in the last two years. Data plans have gotten cheaper hence people have more data than they did before for the same price or even less. The bill only seems to get higher and higher because of device payment. Device payment does raise the bill but everyone seems to already forget (I don't know how cause it was only like two effing years ago) that you don't pay $250 in store for the device. Just taxes and upgrade fee. You're probably thinking I'm full if it and have no clue what I'm talking about. We here's an example to shut you up. Comparing More Everyting plan from two years ago to Verizon plan with two lines over two years: More Everything: $199.99 - iPhone 5s 16gb $ 40.00 - upgrade fee = $239.99 - pre tax X 1.075 - (Ohio sales tax) = $257.98 - post tax X 2 - two devices = $515.97 - Due in store Plan $40 - line access $40 - line access $100 - 10gb data shared = $180 - pre tax X 24 - two years = $4,320 + $ 515.97 - paid day one = $4,835.97- total over two years Now the Verizon plan two years later $48.74 - sales tax on full retail price of iPhone 6s 16gb + $20.00 - upgrade fee = $68.74 - total cost in store of one phone X. 2 - two devices = $137.48 - total due in store Plan $20 - line access $20 - line access $80 - 12gb data shared $27.08 - iPhone 6s 16gb payment $27.08 - iPhone 6s 16gb payment = $174.16 - pre tax X. 24 - two years = $4,179.84 + $137.48 - paid in store = $4317.32 total over two years $4835.97 - $4317.92 = $ 518.65 SAVED OVER TWO YEARS Now the point could be made that "Big Red" only dropped their plans to stay competitive with the other three but that's not the point. The point is that your complaint, how ever rage filled and emotionally driven it may be, is just plain ignorant. Stop complaining about promos ending, they're supposed to do that. Stop yelling that you're paying me money than you did before, you aren't. Stop saying you're a loyal customer, whether you are or not, I hate it.